Albert LeGatt was born on May 6, 1953 in Melfort, SK to Joseph and Emma LeGatt. His early schooling was at St. Brieux (1959-1967) and at Le Collège Notre Dame, St. Louis, SK (1967-1971). He studied at Le Collège de St. Boniface (University of Manitoba) obtaining a Bachelor of Arts (with majors in Philosophy and French) in 1974. For the next three years he served as a CUSO (Canadian University Services Overseas) volunteer in Ghana, West Africa, teaching French in a secondary school. He entered Le Grand Seminaire de Québec in 1977, pursuing studies in theology at L’Université de Laval. LeGatt was ordained to the priesthood on June 19, 1983 by Bishop Blaise Morand in St. Brieux, SK. He served as assistant pastor, then pastor, in a number of parishes in Prince Albert Diocese (1983-2000). He pursued studies in Pastoral Liturgy at the University Notre Dame, Southbend, Indiana (2000-2001). He was involved in the Diocese of Prince Albert as co-ordinator of the Diocesan Liturgical Commission, Director of Vocations and Consultor. 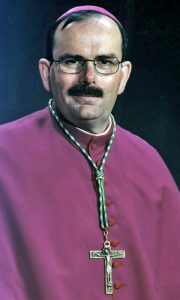 LeGatt was named Bishop of Saskatoon on July 26, 2001 by Pope John Paul II. He was ordained and installed by Bishop Blaise Morand on October 5, 2001 in St. Patrick’s Church, Saskatoon. He served on the Episcopal Commission for Liturgy and the Catholic Aboriginal Council of the Canadian Conference of Catholic Bishops. During his eight years as bishop of Saskatoon, Bishop LeGatt worked with the diocesan faith community on a number of initiatives, including the establishment of a diocesan Task Force on Marriage to work with a diocesan office of Marriage and Family Life to strengthen and support marriage, as well as a Diocesan Mission Office to create greater awareness, participation and understanding of mission beyond diocesan boundaries. A diocesan office of prison ministry, and of Roman Catholic hospital chaplaincy to two secular city hospitals were also established under LeGatt’s leadership. Bishop LeGatt worked with the diocesan Lay Formation team and representatives from the diocese of Keewatin-LePas and Prince Albert to establish the unique new Aboriginal Catholic Lay Formation program, offered in conjunction with the established diocesan and eparchial program. As part of a focus on life-long faith formation, LeGatt also restored the Order of Initiation Sacraments in the diocese, with confirmation now celebrated before First Eucharist. Working with the Diocesan Ecumenical Commission, LeGatt also issued a general decree setting pastoral directives for sacramental sharing in particular circumstances between Catholics and baptized Christians of other denominations. Other pastoral letters from Bishop LeGat included policies surrounding the inclusion of children with disabilities in sacramental preparation programs (2002), guidelines for funeral liturgies (2004), and issues around the redefinition of marriage (2005). He was a leader in the establishment of anew provincial organization called Catholic Connections – a network of Catholic groups dedicated to increasing awareness about the value of Catholic health and Catholic education. During his time in the diocese of Saskatoon, he worked to invite, mentor and support a number of priests from other countries — in particular, Nigeria, Ghana and India — who came to Canada to study or to serve, and who have provided ministry in the diocese. A focus on vocations was also a priority under Bishop LeGatt, with the establishment of a diocesan coordinator of vocations to work with a Diocesan Vocations Commission. In February 2007, Bishop LeGatt created a new parish in the diocese of Saskatoon — Our Lady of Guadalupe — giving official parish status to the long-time Indigenous faith community of Guadalupe House. Bishop LeGatt’s initiatives also included a multi-year Parish Vitality Reflection (PVR), centred on the baptismal call to share in Christ’s mission as priest, prophet, and shepherd king, and the launch of a “Rooted in Christ” Diocesan Vision that called for a focus on six priorities over five years, and well as a “Uniting in Faith” campaign to build a Cathedral and Catholic Pastoral Centre. A ground-breaking for the new building took place in December 2009 and the building opened in December 2011 and was officially blessed on May 13, 2012. 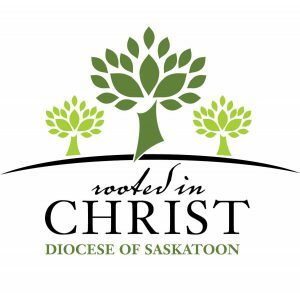 As part of that initiative, a Development Office was established, which eventually became the Diocese of Saskatoon Catholic Foundation. On July 3, 2009, Pope Benedict XVI appointed Albert LeGatt as the Archbishop of St. Boniface, Manitoba and his installation was held Sept. 21, 2009.